Today was Day #7 of Chocolate and Licorice Theme Week. 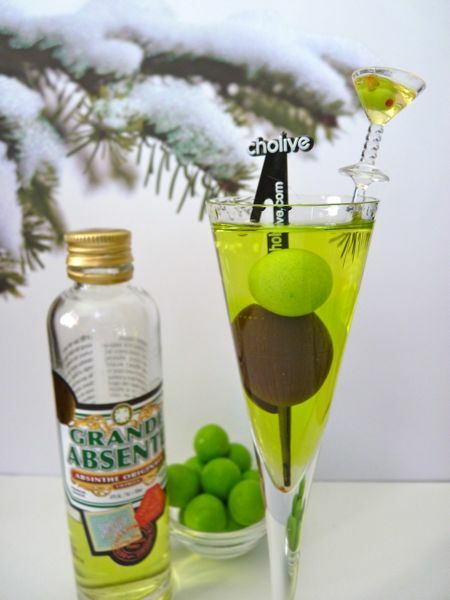 Absinthe is an herbal concoction made infamous (and illegal) for a time by alleged ill effects, largely caused by bad batches of wormwood (one of many ingredients in this largely French recipe). Other ingredients commonly used to make absinthe include: star anise, licorice, fennel seed, anise seed, hyssop, angelica, mint. I tempered this little green cocktail with two chocolates: 1.) a Benson Fine Candies Absinthe Cordial* (an absinthe/anise flavored chocolate covered in a round, green candy shell); and one Cholive (a 55% dark chocolate truffle in the shape of a cocktail olive** -- that came packaged with its own black plastic cocktail pick). Sadly The Cholive Company (Milwaukee, WI) was no longer in business when I checked last. Despite the chocolates, one tiny sip of this 138 proof liquor was all I needed. Too strong for me. *Note: For those who can't have wheat -- The Bensons Absinthe Cordials contain some wheat starch. 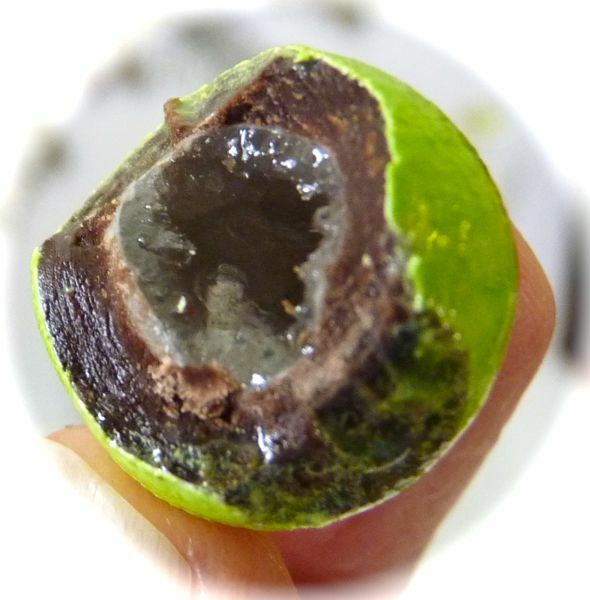 **This was a perfect example of a chocsimile, a chocolate facsimile of an object or living thing -- in this case a cocktail olive.